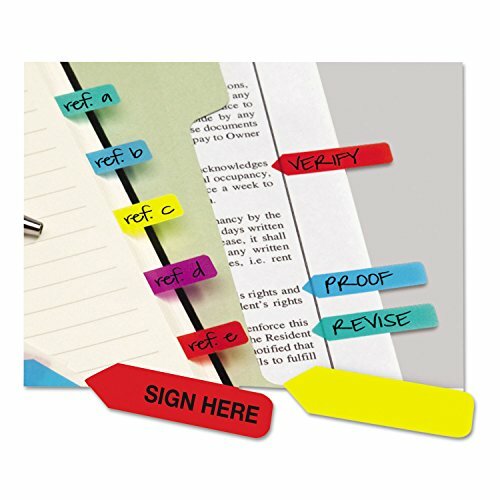 Removable, reusable and writable mini, assorted color arrow page flags. Flag it, remove it, reuse it! Color-code files or flag important messages with mini arrow flags. Works with ballpoint pen, pencil or permanent marker. Removable, reusable and writable, mini assorted color arrow page flags. Flag it, remove it, reuse it! Color-code files or flag important messages. Works with ballpoint pen, pencil or permanent marker. Color(s): Assorted.